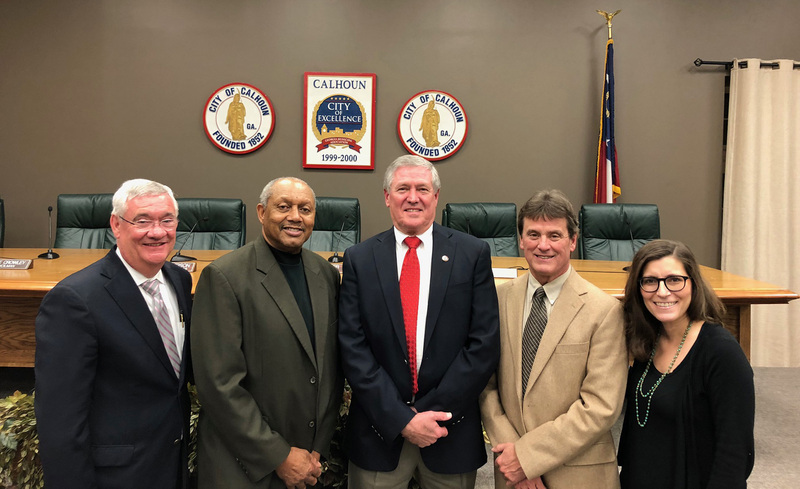 The Mayor Pro-Tem is selected by the Council at the first meeting in January of each year. The current Mayor Pro-Tem is Council Person George Crowley. General Administration includes the functions of the Mayor and Council, City Administrator, Finance, Tax Administrator, General Teller, Human Resources, and Risk Management. Several of these departments serve the entire City and, as included by the City Administrator, have oversight responsibilities to the entire General Government division. The City of Calhoun also operates a Municipal Court at 100 Piedmont Street. Court is held each Monday evening at 5:00 p.m. in Gordon County’s main courtroom. The City contracts for services of a local attorney to serve as judge; a local attorney to serve as City Prosecutor, and a local attorney to provide municipal indigent defense. The City Municipal Court has jurisdiction over traffic violations and city ordinance violations. Effective May 1, 2016 the City contracted with Supervision Services, Inc. (SSI) to provide probation supervision. SSI is located at 216 South Piedmont Street, SE Calhoun, GA 30701.